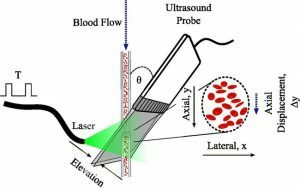 Thore M. Bücking, Pim J. van den Berg, Stavroula Balabani, Wiendelt Steenbergen, Paul C. Beard, Joanna Brunker, “Processing methods for photoacoustic Doppler flowmetry with a clinical ultrasound scanner,” J. Biomed. Opt. 23(2), 026009 (2018), doi: 10.1117/1.JBO.23.2.026009. Kaliviotis, E., Sherwood, J. M. and Balabani, S. (2018).Local viscosity distribution in bifurcating microfluidic blood flows, Physics of Fluids 30, 030706 (2018); https://doi.org/10.1063/1.5011373. Kaliviotis, E., Passias, D., Sherwood, J. M. and Balabani, S. (2017). 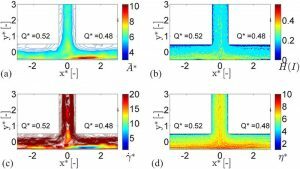 Red blood cell aggregate flux in a bifurcating microchannel, Medical Engineering and Physics, doi.org/10.1016/j.medengphy.2017.04.007. Kaliviotis, E., Sherwood, J. M. and Balabani, S. (2017). Partitioning of red blood cell aggregates in bifurcating microscale flows, Scientific Reports, 7:44563, DOI: 10.1038/srep44563. Cagney, N. · Zhang, T. , Bransgrove, ·R., Allen, M. J. and Balabani, S. (2017). 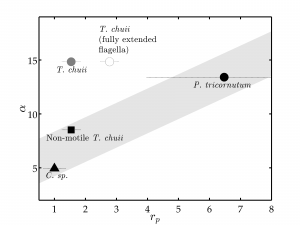 Effects of cell motility and morphology on the rheology of algae suspensions, JOURNAL OF APPLIED PHYCOLOGY, doi:10.1007/s10811-016-1033-y. Cagney, N. and Balabani, S. (2016). Fluid forces acting on a cylinder undergoing streamwise vortex-induced vibrations. JOURNAL OF FLUIDS AND STRUCTURES, 62, 147-155. doi:10.1016/j.jfluidstructs.2016.01.007; Most downloaded paper in in JFS in 2016. Alimohammadi, M., Pichardo-Almarza, C., Di Tomaso, G., Balabani, S., Agu, O., & Diaz-Zuccarini, V. (2015). Predicting atherosclerotic plaque location in an iliac bifurcation using a hybrid CFD/biomechanical approach. LECTURE NOTES IN COMPUTER SCIENCE (including subseries Lecture Notes in Artificial Intelligence and Lecture Notes in Bioinformatics), 9044, 594-606. Sherwood, J. M., Dusting, J., Kaliviotis, E. and Balabani, S. (2012). 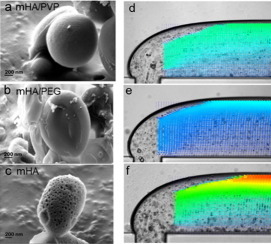 The effect of red blood cell aggregation on velocity and cell-depleted layer characteristics of blood in a bifurcating microchannel. BIOMICROFLUIDICS, 6, 024119 doi:10.1063/1.4717755.